If you work in the agriculture sector, you know how important high quality sawdust and shavings are to keeping your livestock at their optimum health and happiness, and to yield the best results. Our range of animal bedding helps to keep your animals hygienic and healthy, something which is proven to help you to maintain a high standard production in the long run. Our extensive experience in the agricultural sector has shown us that there are two types of shavings which are most effective for use in agriculture; soft dust and Agri Dust. Our soft dust shavings are made from 100% high quality soft wood and is kiln dried making it perfect for use as cubicle bedding, equine bedding, poultry bedding, and most other animal bedding. 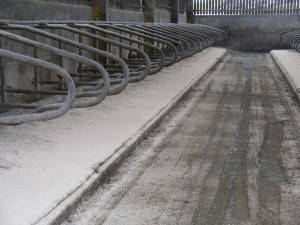 Our other product, agri dust, is a well known and fast growing brand of livestock bedding, particularly popular in the dairy farming sector. It contains no harmful chemicals and is tailored to specific size requirements, to reduce the chance of abrasion on the cows’ udders. Not only are sawdust and shavings useful for the maintenance of livestock, but they can also be used to make sawdust mulch. The sawdust is mixed with compost or grass clippings to produce a mulch which is particularly effective for acid loving plants, and can help your plants prosper! If you are interested in any of our sawdust and shavings products, please do not hesitate to contact us today! A member of our team will be more than happy to advise you!